This second annual Valentine’s Benefit Concert, presented by 9258 Wealth Management, will feature American soprano Rachel Sachs and Swiss pianist Daniel Sachs. 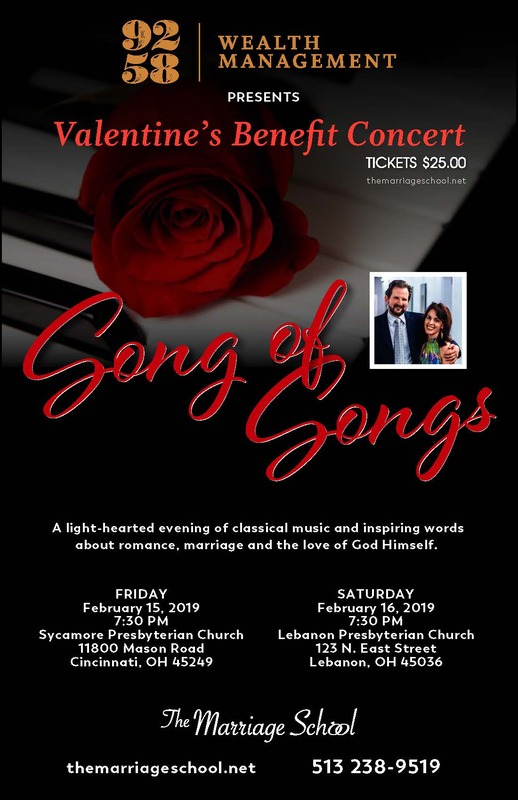 It will be a light-hearted evening of classical music and inspiring testimonies covering themes of romance, marriage and the unfailing love of God Himself. All proceeds from the event will benefit The Marriage School, Inc, a 501(c)(3) Christian non-profit that offers proven, practical educational program to help couples grown towards healthier and stronger marriages.